Mark said hitting all these “tourist” spots is like being on a Scavenger Hunt….that’s pretty close. We managed to cram in more sightseeing in the past few days…. 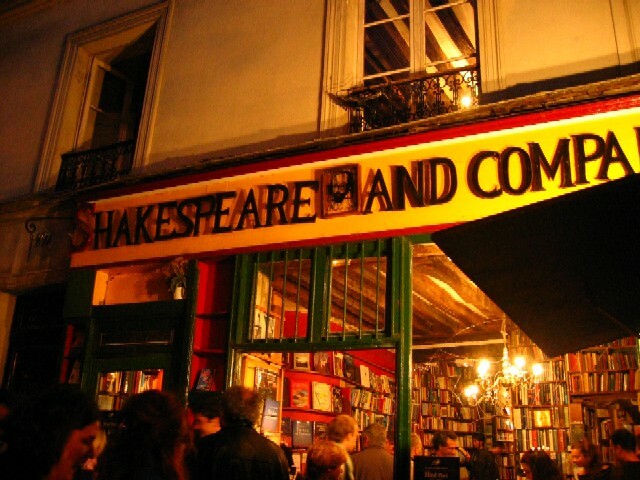 So far, my biggest thrill is from this tiny bookstore….according to one web description, you can see it from Norte Dame. This is the site of Sylvia Beach’s bookstore. Ernest Hemmingway and other writers borrowed books from Beach in the 1920’s. Hemmingway writes about it in his book, A Movable Feast. 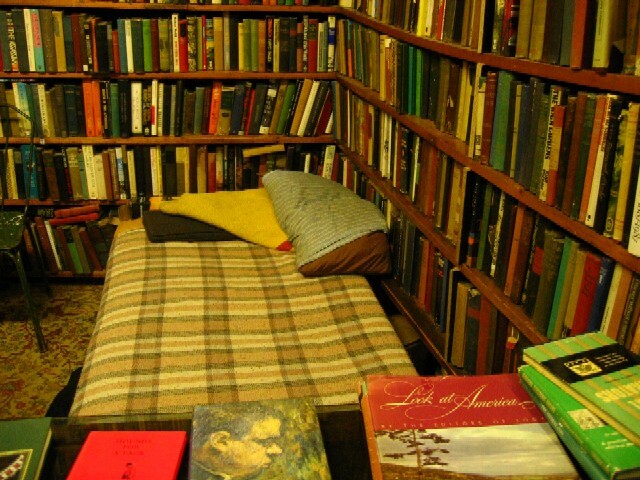 Apparently, you could live at the bookstore in exchange for work hours. 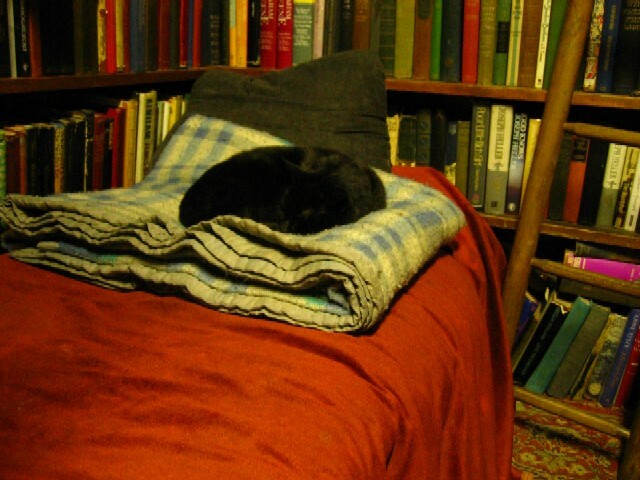 Last night…this is the only resident bunking in the bookstore. I’m not sure what this cat does in exchange for room and board. This area is actually above the main bookstore – I believe it’s labled Sylvia Beach’s library. 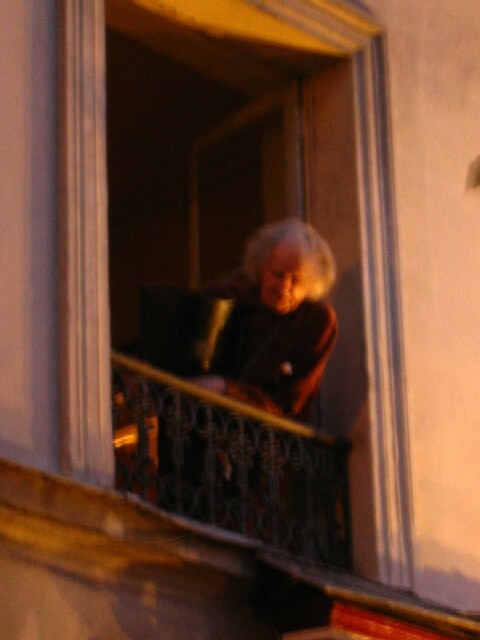 In this upstair hideaway – there’s a sign that says these books are not for sale. 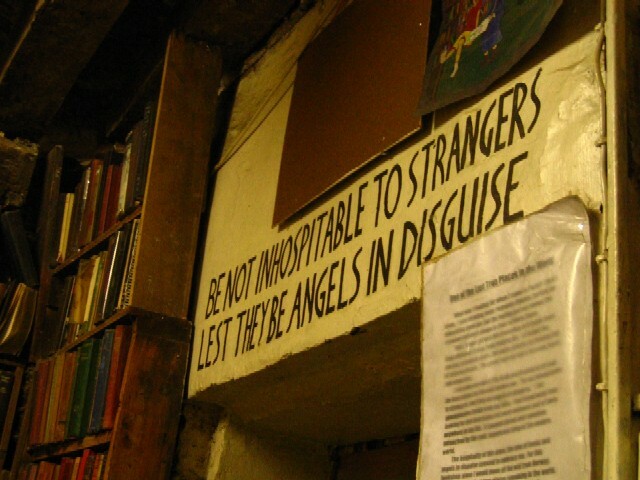 The sign also invites people to use the books as reference and to pull up a seat to read for a bit. So I did. I picked up a copy of Philip Roth’s “I Married a Communist,” and read. Here’s a crappy picture of George Whitman – the owner of the store and a distant relative of Sylvia Beach. He’s also the grandson of the poet Walt Whitman. Some kids were yelling for George after the outdoor poetry reading.